at Home or at Church! 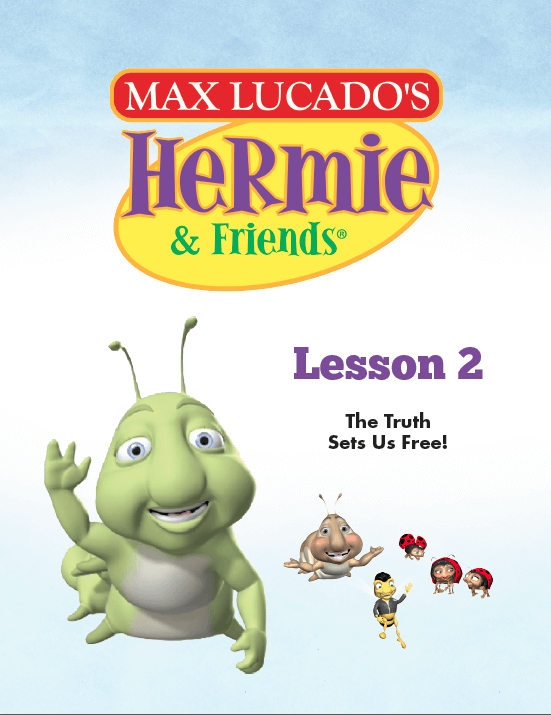 We’ve created curriculum for each Hermie episode with your busy family/children’s ministry in mind. Each one provides simple, engaging content and activities that will inspire children to follow God and experience his love. Use each lesson at home or with a Sunday School class. Each curriculum is designed for children ages preschool through second grade, but can be adapted for an expanded group. Hermie Curriculum Lesson 4: Forgiveness Heals Hearts! Hermie Curriculum Lesson 5: God Is Always With Us! Hermie Curriculum Lesson 6: God Makes Rules Because He Loves Us! Hermie Curriculum Lesson 7: God Asks Us to Love Our Neighbor! Hermie Curriculum Lesson 8: God Hears Us When We Pray! Hermie Curriculum Lesson 9: God Wants Us To Behave! Hermie Curriculum Lesson 10: God Wants Us To Get Along! God Wants Us To Accept Others! God Wants Us To Trust Him!